What are some of the hallmarks of modern Audis? Front wheel drive on larger sedans, odd numbers of cylinders, etc. Well many of those attributes were introduced with the DKW F102 in late 1963. The F102 went into production in 1964, but it was a car between two eras. Mercedes ownership held onto old formats and technology, while new thinking and performance standards were already evident among the competitors. As such, the car was unibody construction, and front wheel drive, but with a two-stroke three cylinder engine. It was 168.5 inches long and weighed 2945 lbs. The engine was 1175cc and produced 69hp, along with 76 ft-lbs of torque. This propelled the car to a top speed of 84mph, and a 0-60 time of 16.8 seconds. Not horrible for the time, but far from being among the leaders. It was offered in a 2 door coupe initially, with the 4 door following six months later. Given what was being produced or designed by Mercedes at the time (Gullwing, Pagoda, etc), many believe that they were also concerned about competing with themselves. It is no surprise that the car sold poorly with just over 53,000 units in its' short life. The public had already been moving away from 2 strokes, and there were great alternatives in the emerging class of modern sedans. 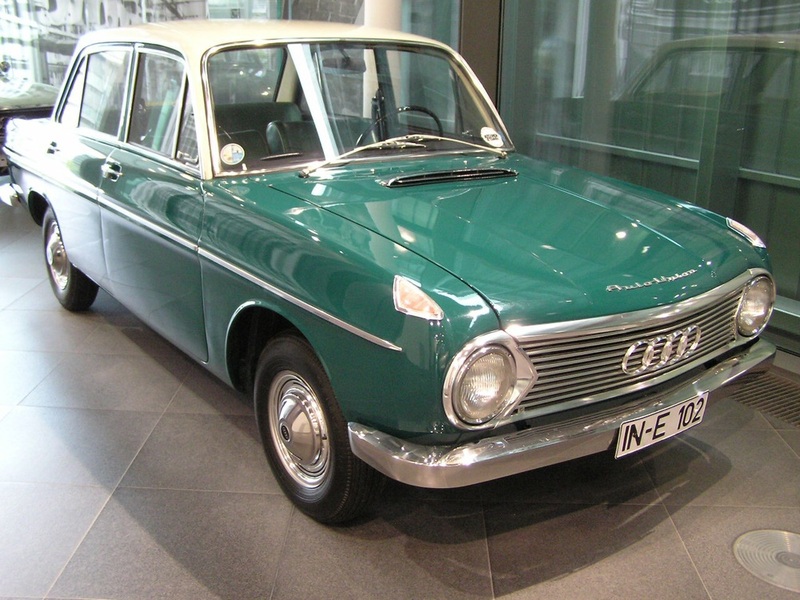 Mercedes happily sold a controlling interest in Auto Union to Volkswagen in 1966, and the new owners quickly killed off the DKW brand and facelifted the F102 to make it the F103 branded as an Audi. They also inserted a four stroke four cylinder engine. The F102 is one of those commericial failures that forced a sudden course correction and gave birth to a successful platform with many of its' attributes carried forward.